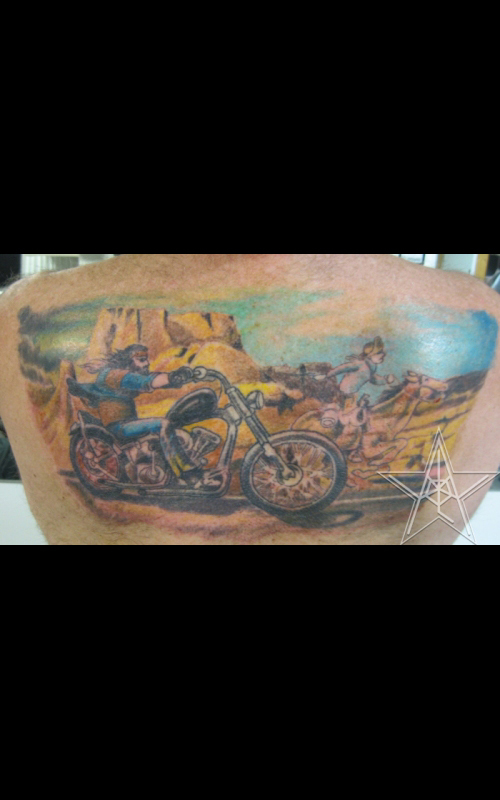 David Mann's Ghostrider Full color tattoo from artwork. Dali Full color tattoo from Salvador Dali artwork. Medusa Full color tattoo from artwork. Flower Head Black and grey Salvador Dali tattoo. 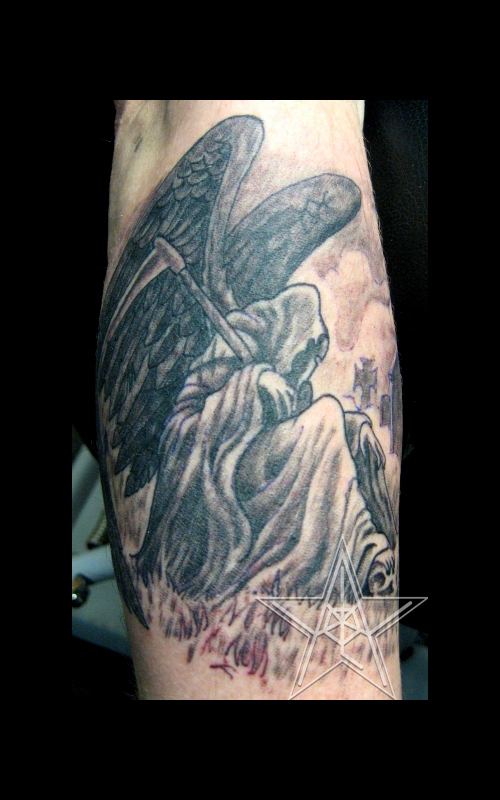 Black Angel Black and grey grim reaper in graveyard tattoo. Fierce mermaid from a painting. 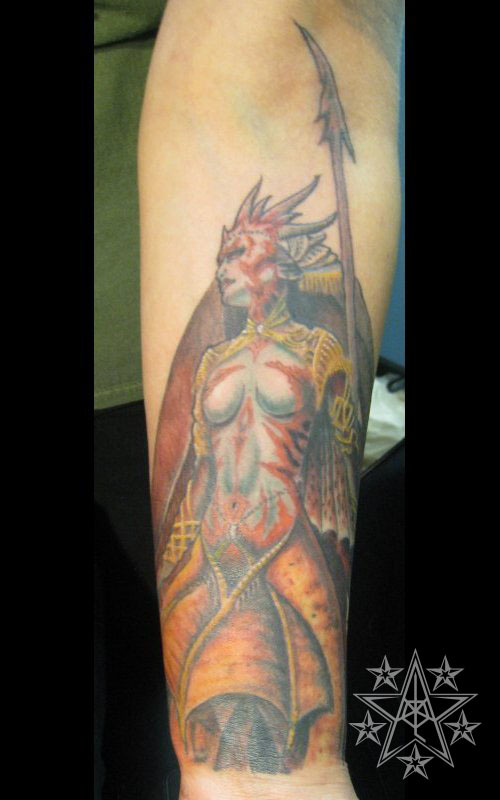 Mermaid warrior tattoo. Fine art tattoos by Ray Reasoner Jr.
Fine Art: Many times people love an artist so much that they want to decorate themselves for the rest of their life with their work. H.R. 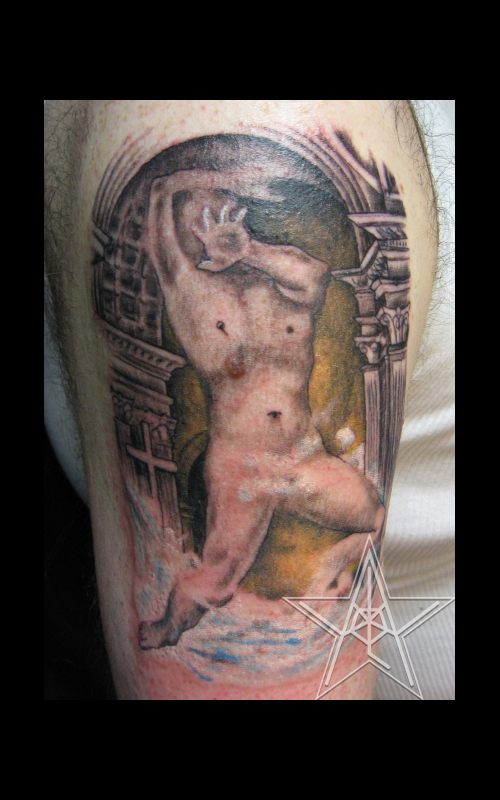 Giger, Salvador Dali, and many others often are chosen for such a tattoo.